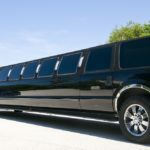 Book The Best Party Limo Bus in 3 Steps! Party Bus Montreal is the top Party limousine company you can hire when gathering and partying with your friends. It is the mecca of party limos and party buses that will aid you with having the best party of your life. People will be talking about that party (your party) for years to come. Call us today or fill out the form to the right to schedule a Limousine in Montreal for the party of a life time today! We are the best because we put our customers first! When people think party bus they think of us because we are sure to please every time. Our customers always come back because we always meet their needs and help them have the best and most memorable parties. We have the best party buses around: Our Montreal party bus limo rental is the coolest and most extravagant party buses to rent in town. We always go above and beyond to make your experience the best and you will be dazzled one inside of our buses. Just ask around and our name will start popping up everywhere because we are the best. It is dressed to the nines with all the finer things in life. You will be able to blast the music of your choice while drinking your favorite drinks. When it is time to party we are the ones that make it the best party you will ever throw with our party limo service! The best drivers in town: The limousine is only a part of your experience. With chauffeurs like ours you are sure to hit all the hot spots in town and get to your destination in safely. We have the best drivers who will greet you with a smile and make sure your party is the best party ever. They are highly trained and they know how to make your party the best experience around. Top of the line party buses. But they are the newest and top of the line party bus models. We want you to have the fanciest party ever and you can only do it with the best and newest limos on the market! Neon lights and drink bar. Yes, the lighting, music and bar make it all a party place in the limo! We arrive on time: When it is time to get the party started we are always there and on time. We don’t believe in being late and we pride ourselves on always being there when you need us. Getting the party started is important and being on time will set the mood of the party. Let us help you throw the party of a life time. 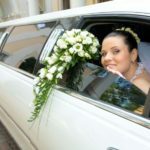 Call us today to book your limo rental! We are the best company around and when it is time to party you need to call the right limo service company, us! Our buses are accommodating for any size group big or small. We will show up on time and ready for your party every time. What would you like at your party? Just let us know and we will arrange it. Call us today or just fill out the form to the right and we will assist you in having the best limo bus rental services around. Some Montreal party buses don’t have a destination; the bus itself is party central. This is a party bus in the truest sense of the word. 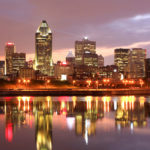 How far in advance should I charter a bus in Montreal? That depends on what time of year it is. Some times of the year, eg, New Years Eve, are busier than others. Many operators have limited party buses and they book up quickly. 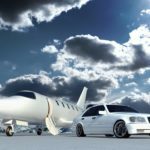 To get what you want, as soon as you start thinking about hiring a party buses, start calling around to find out the details of reserving one. How many passengers can fit in a limo bus? This depends on the size of the bus you rent. Smaller party buses are similar to oversized vans and can accommodate 10-15 passengers. Larger party business can hold up 40 or more passengers. Is smoking allowed on a party bus? Is food and drink served on the buses? Most providers don’t offer food and drink, but allow you to bring it yourself. In the case of alcoholic beverages, if it is allowed, everyone on the bus must be of legal drinking age. You will usually have to show ID to substantiate this. If the rules are violated, the ride is usually terminated and no refunds are offered. Many party bus operators charge by the hour, with a minimum number of hours requires. Others charge by the day or half-day. Inquire before you book.